Australia offers a vinous landscape that's as diverse as the country is wide. Among our many wines, regions and producers, there are some incredible icons, setting the benchmark for others to follow. These exemplary must-haves are showcased within this collection of packs, offering you the essential drops to create the perfect autumn collection. In the iconic region-variety combinations, you'll find Adelaide Hills Sauvignon Blanc, Margaret River Chardonnay, Coonawarra Cabernet, Barossa Shiraz and more. 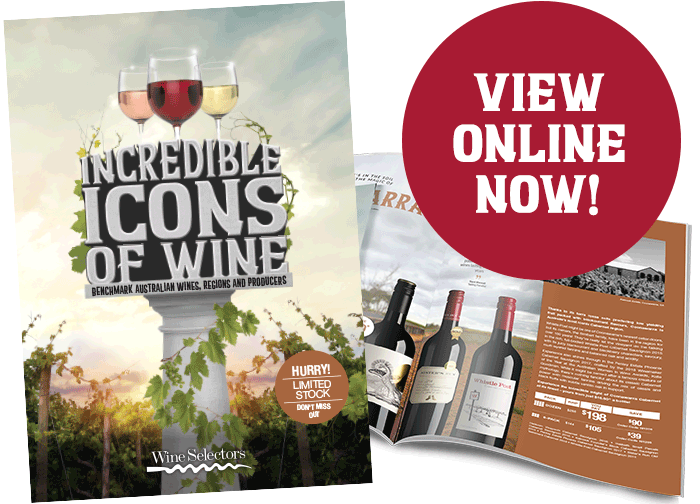 Then there are Trophy and Gold medal-winners from Australia's most iconic wine shows, a Shiraz line-up from two iconic vintages, iconic alternative styles, and the list goes on. So, join us in celebrating all that makes Australian wine world-class with this iconic showcase! But given the calibre of wines included, stocks are limited, so don't miss out!